Thousands of science kitties have gathered in Chicago this week for the AAAS Annual Meeting, where they get together to discuss the latest research on catnip addiction and hold panels on the causes of dogs’ inability to read. You can follow along on twitter with hashtag #AAASmtg or see some sessions live-streamed online. 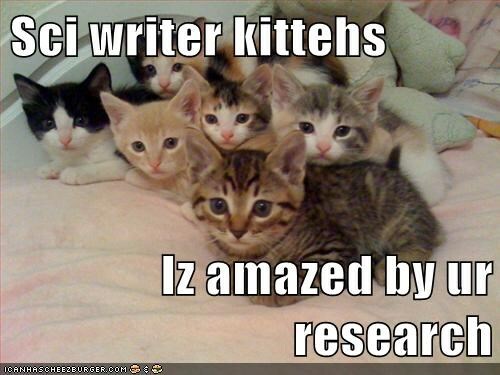 This entry was posted in Science Caturday, Uncategorized and tagged AAAS meeting, science lolcat, scientific meeting cat. Bookmark the permalink.